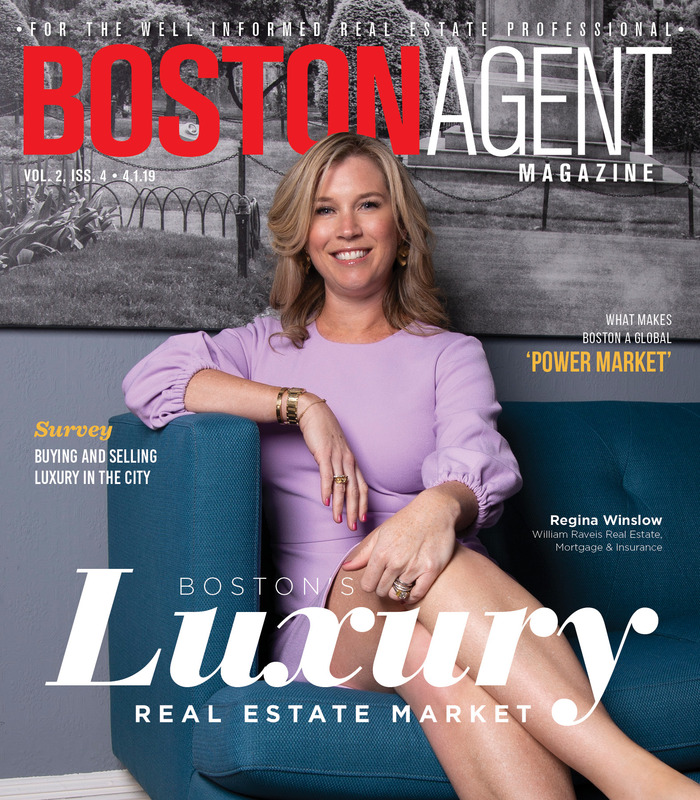 Real estate agents in Boston have seen the luxury market grow from one that was always competitive nationally to a global market attracting wealthy international buyers willing to pay prices like those seen in New York and San Francisco. The city’s longtime inventory shortage has ratcheted up competition in the luxury market, which is creating new challenges, but also new opportunities. Sizing up clients and figuring out how to present the product likely will be the key to broader interest and closing more deals in 2018, according to some local experts. P.T. Vineburgh, founder of Charlesgate Realty Group, says sophisticated luxury clients have high expectations from agents. “To me, I think it’s just your level of expertise and the correlating value that expertise will add to a transaction,” he says. Luxury clients are savvy and often believe they have enough information available to do the work themselves. “You have to prove you can dive deeper into that information and add value to that,” he says. Tony Guthrie, a Realtor with Robert Paul Properties who specializes in the Boston suburbs, says luxury customers in the urban center are different from those in farther-reaching communities, because while the former is frequently looking for something immediate, the latter often is a discretionary buyer. He explains that a lack of new construction in the metro area means more older homes in need of renovation. “Most high-end buyers are not up for a project; they’d rather buy something turnkey and done than something in a great location where they have to take on a new project,” he says. Guthrie says he leverages his relationships with architects, interior designers and others to manage renovation projects for clients. “My goal is to make the transaction easy for them, so I offer services for managing (renovation) projects,” he says. 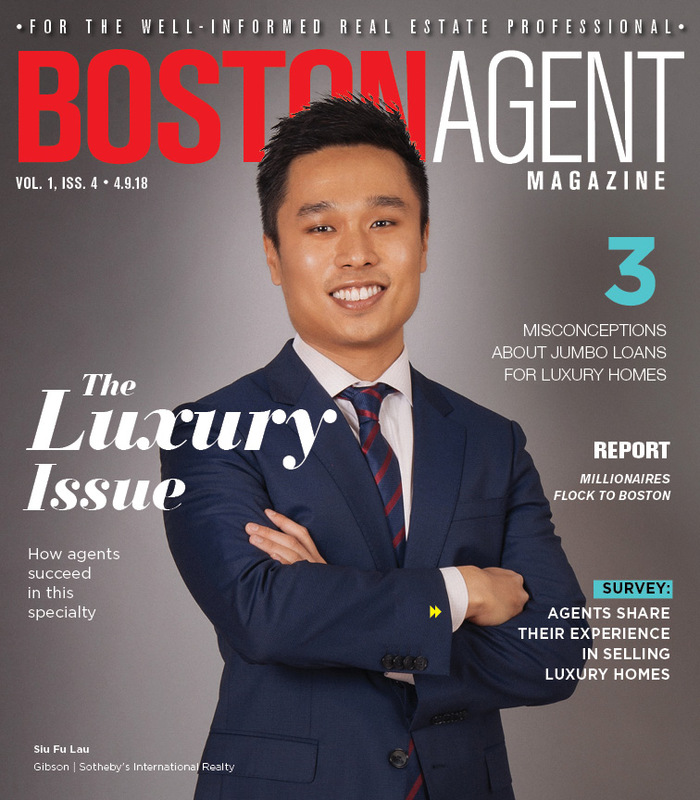 Turnkey properties also are the norm for Siu Fu Lau, an agent who deals primarily with international clients in Boston for Gibson Sotheby’s International Realty. Lau says he often takes a different approach with international clients who purchase luxury property as an investment or as an alternative to staying in a hotel while traveling for business. Local buyers are often more emotional in their decision making because of their connection to the city, while international buyers are frequently “shocked” by the price. “I think you have to know the market very well to be able to explain (the distinction between the various housing stock) in Boston,” he says. High-end finishes, designer kitchens, outdoor spaces and walkability are among the most sought-after amenities for buyers in the city, but when it comes to luxury homes in the suburbs, there’s also “great demand for quality schools,” according to Lau. He says young families are still moving to the suburbs, while millennials and empty nesters often seek an urban environment. Guthrie says high-net-worth buyers also are increasingly interested in new construction. Older buildings with smaller rooms and low ceilings “don’t necessarily work for people,” he says. “Also, people are not wanting to be on several acres; people want to be more connected,” he says. Staging can make or break a sale, and agents all have their own approach, but there’s a general rule among luxury brokers: don’t condescend to buyers. Vineburgh says he works with a company that provides high-end furniture for stagings, which is incentivized to bring its best products with the goal of selling pieces directly to homebuyers. Lau says staging is really about helping a buyer mentally picture what they can do with the space. He waits for sunny days to photograph the unit to “create an emotional effect” for buyers. While Boston has long been known as one of the top-five most expensive housing markets in the country, the most expensive homes are now approaching prices seen in New York, according to Vineburgh. “A high percentage of the new luxury units in our top most affluent neighborhoods are between $2,000 and $2,500 a square foot, which was not the case even three or four years ago,” he says. Following a nationwide trend of luxury homes getting even more expensive, ultra-high end properties in the core suburban market between $3 million and $10 million have held their value, while those between $1.8 million and $3 million have softened, Vineburgh says.